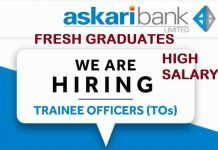 Habib Metropolitan Bank required Applications from fresh and energetic candidates for Habib Metro Trainee Teller Jobs for the batch 2019. 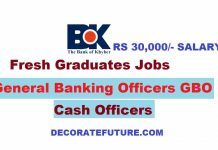 In order to meet the branch network expansion needs, Habib Metropolitan Bank Limited invites applications from young and energetic fresh graduates for the position Trainee Teller (Cash Officer) to be posted in branches of cities across Pakistan. 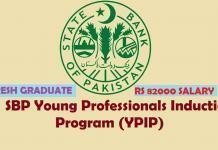 The Program is designed to recruit, train and develop young talented individuals who are confident of pursuing a rewarding career in a bank. 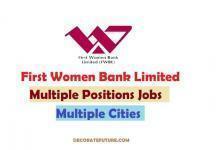 A bank Trainee Teller or cash officer is an employee of a bank who deals directly with customers. In some places, this employee is known as a cashier or customer representative. All the eligible candidates will undergo through initial screening fallowed by shortlisting of candidates for final interview. The selected candidates will be appointed as junior officer Grade and with six months probation. 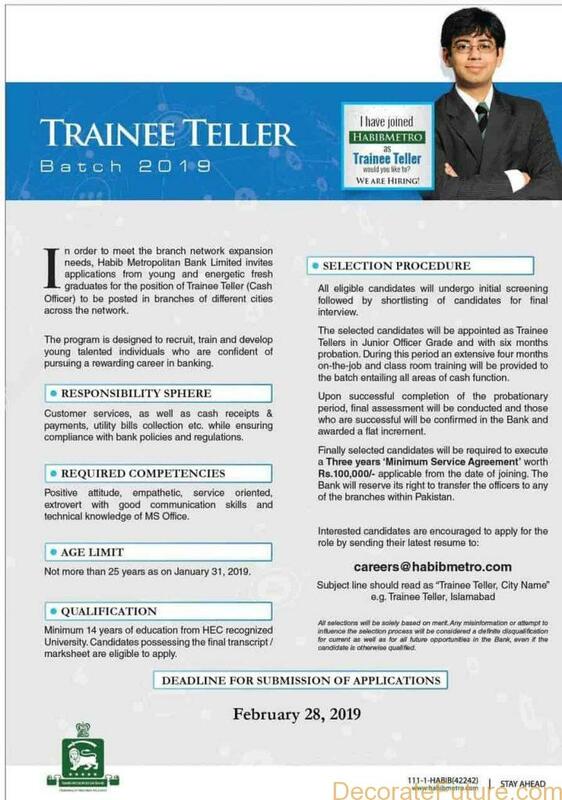 The minimum required qualification for Habib Metropolitan Bank Trainee Teller Jobs is 14 years of education from HEC recognized university. 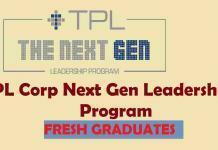 Candidates possessing the final transcript /marksheet are eligible to apply.